Ships tomorrow if you order in the next 17 hours 25 minutes. 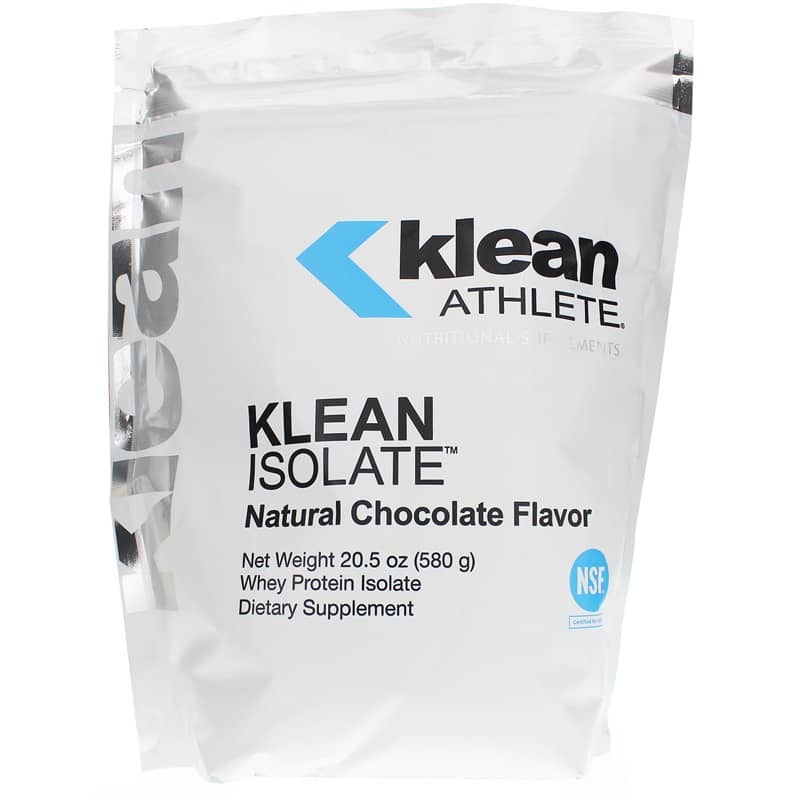 Klean Isolate by Klean Athlete is a great supplement for athletes who need additional amino acids for muscle integrity. Klean Isolate supplies 20 grams of high quality whey protein isolate in each serving and has no additional flavorings or sweeteners. Klean Isolate is tested and certified by the NSF Certified for Sport Program, which was created to meet the growing demands of athletes, coaches and healthcare professionals to certify that sports supplements are safe and completely free from banned substances. Every product that carries the NSF mark has undergone stringent laboratory testing to confirm content, purity and compliance. The dietary protein provided by Klean Isolate supplies essential amino acids that participate in many of the metabolic and physiologic systems in the body, but most importantly to an athlete is the building of skeletal muscle that is broken down during exercise. Protein turnover in the body is continuous and can be substantial. The dynamics of this constant degradation and re-synthesis demand a daily supply of dietary protein and their constituent amino acids. Essential or indispensable dietary amino acids must be supplied by the diet as they are not synthesized by the body. 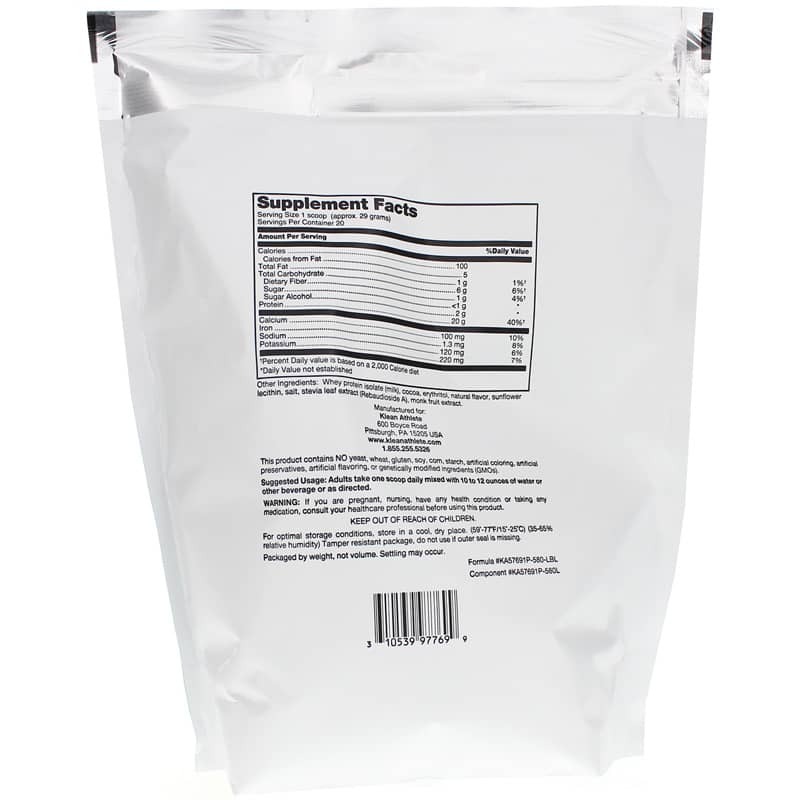 Other Ingredients: Whey Protein Isolate (milk), cocoa, erthyritol, natural flavor, sunflower lecithin, salt, stevia leaf extract (Rebaudoside A), monk fruit extract. Contains NO: yeast, wheat, gluten, soy, corn, starch, artificial coloring, artificial preservatives, artificial flavoring or GMOs. Adults: Take 1 scoop daily mixed with 10 to 12 ounces of water or other beverage or as recommended by a healthcare professional. If you are pregnant, nursing, taking medications or have a medical condition, please consult your healthcare practitioner before use. Keep out of the reach of children.